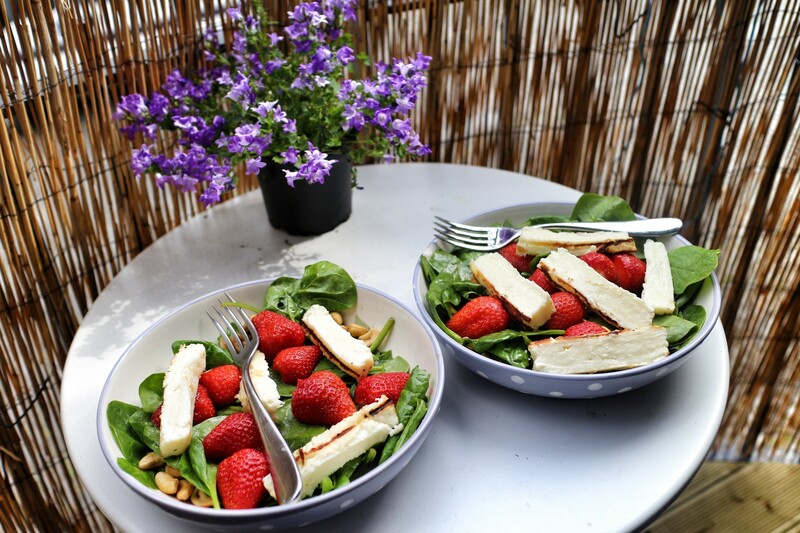 A refreshing and sweet summer salad with spinach, basil, strawberries, cashews and grilled halloumi! Mix in the cashews. 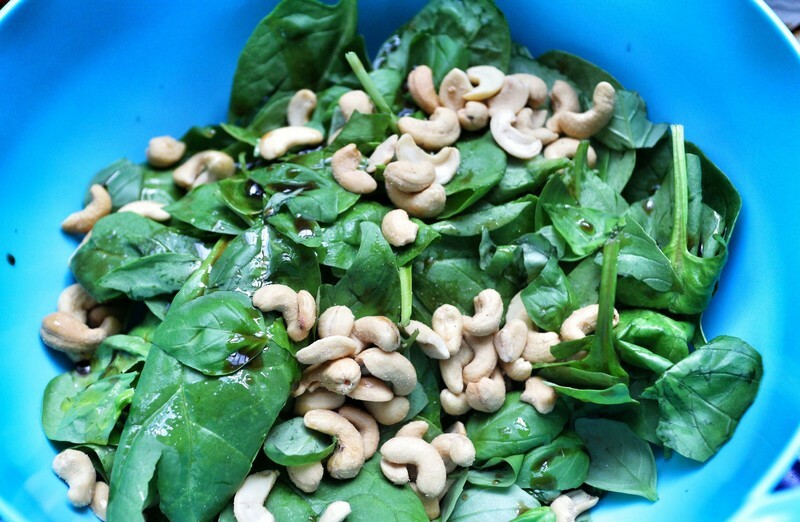 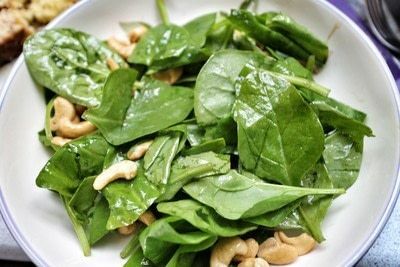 I used salted cashews but you could use plain ones and season the salad if it needs it. 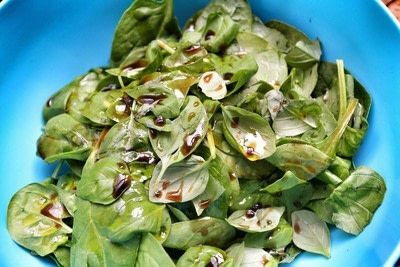 Toss together the spinach and basil with some olive oil and balsamic vinegar. Divide the salad evenly between two bowls. 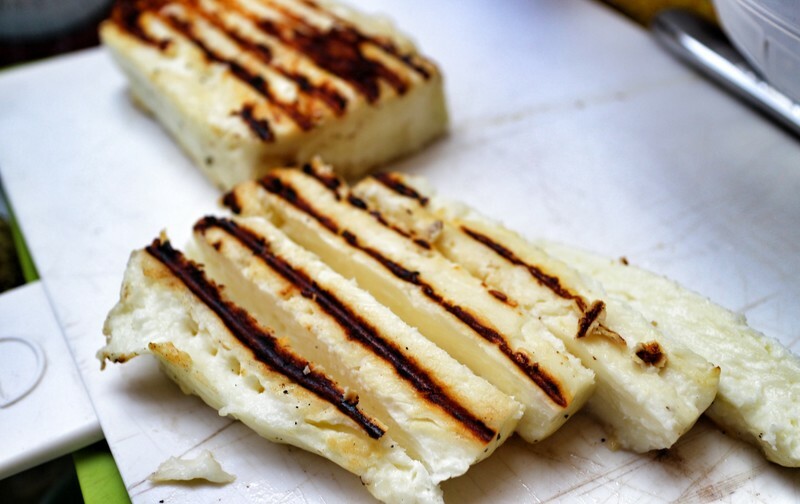 Grill the halloumi until golden on either side and cut into slices. 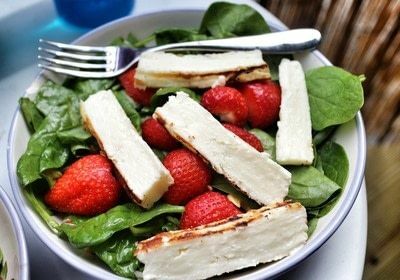 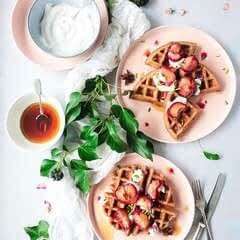 Place the halloumi and strawberries on top and serve!